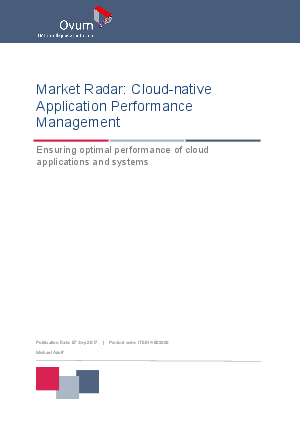 Application performance management (APM) is an IT discipline that continues to evolve as new technologies appear. The new wave of microservices architecture and containerization has led to what is referred to as cloud-native development, and this approach has one of the fastest adoption rates of any new technology we have witnessed. With cloud-native environments there is the need to monitor and manage these new types of applications, but the challenge is that they are quite different from traditional monolithic systems. This report delves into what the differences are, how these affect how they are monitored, and how a new generation of vendors have stepped up and introduced novel solutions to meet these challenges. We also examine the incumbent leaders in the APM market that have transformed their solutions to expand and cover cloud-native environments.